Three major streetwear brands — the UK’s Maharashi, LA’s Undefeated and the behemoth Adidas Originals — have combined forces for a collaborative line of gear. The highlight of the Fall/Winter 2015 collection being the military-gray camo Jabber Mid Hi sneakers shown above. 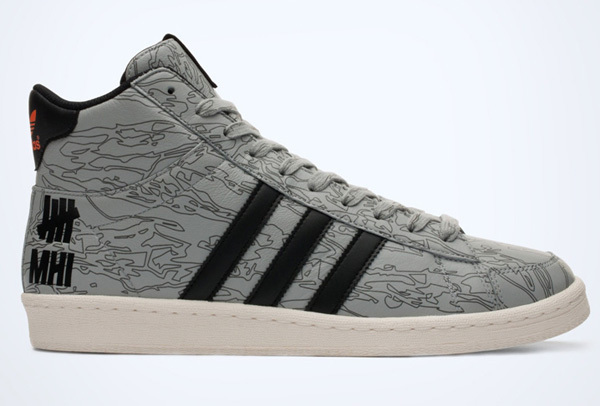 The main attraction of the shoe, and entire collaboration in general, is the “Disruptive Court” tiger-stripe concrete camo pattern designed by longtime camo experts Maharashi. Other details of the mid-cut shoe include supportive rubber cupsole, Multi-brand embossment at the heel and orange accents. 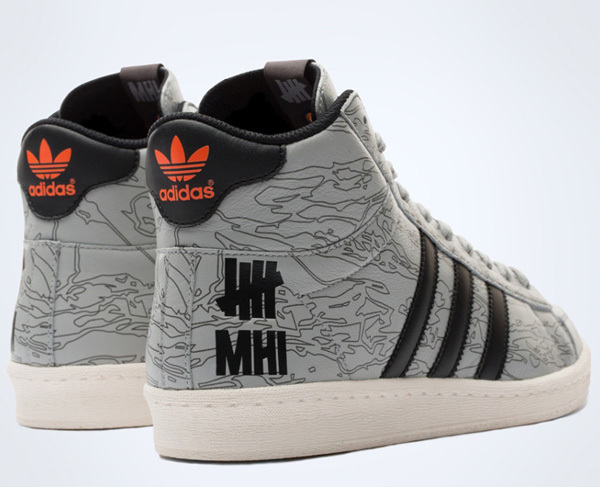 Peep out the rest of the collection here, or just get a pair of the Undefeated x Maharashi x Adidas Originals Jabber Mid His for $140. I think these sneakers with a great tshirts could be amazing.